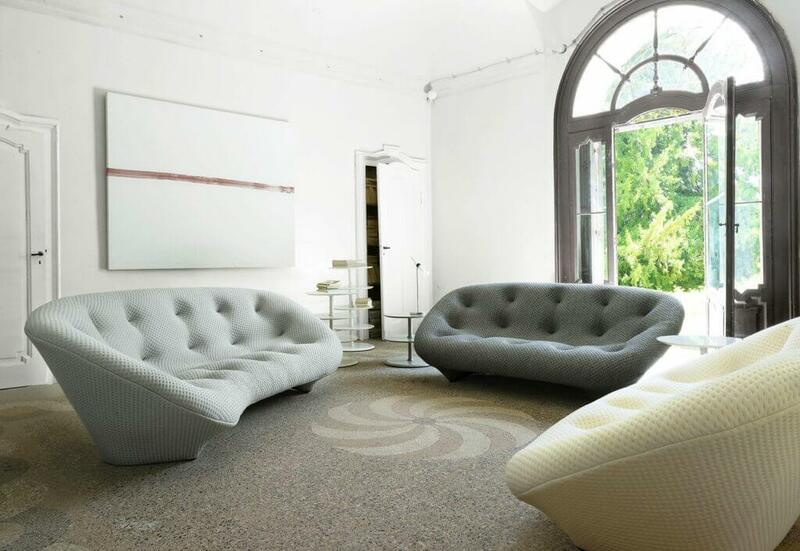 Ligne Roset is the French creator-manufacturer-distributor of contemporary high-end furniture. The company was founded by Antoine Roset in 1860 in Montagnieu, France, as a small business manufacturing bentwood walking sticks. Today, this business is run by the fourth generation of Roset family, the brothers Pierre and Michel Roset, who were recently joined by their sons Antoine and Olivier. A highly contemporary international designer brand, Ligne Roset is renowned worldwide for its collections of cutting-edge furniture and accessories. Collaborations with both internationally acknowledged designers such as Ronan and Erwan Bouroullec or Pierre Charpin, and emerging young designers ensure that the collections have a strong design focus and are endlessly innovative. With a reputation for quality and innovation at every level, Ligne Roset uses traditional knowledge with the very latest industrial techniques. Very few brands are able to pull off adventurous statement pieces the way Ligne Roset does. It’s one of Europe’s most respected furniture companies for good reason. Among Ligne Roset’s most recognized piece is the Togo line of seating, designed by Michel Ducaroy in 1973. It features ergonomic designs with 5 densities of foam combined to make the frame. The foam construction and quilted covers make each piece both visually attractive and very comfortable. Also, some of iconic products of this company is Ploum Sofa, a contemporary piece designed by Erwan and Ronan Bouroullec, and Pumpkin Sofa , the original Pierre Paulin’s 1971 design for the private apartments of Claude & Georges Pompidou at the Elysée Palace. Creative research and enduring aesthetics, a combination of wholly-owned stores and a carefully-selected distribution network, together with environmental practices initiated during the 1970’s, and constant communication with the general public through innovative advertising campaigns, have helped create one of the world leaders of contemporary furniture, with a presence in 72 countries and more than 1,000 retail distributors worldwide. On the 7th of November 2017, Ligne Roset will have the premiere at 55th Belgrade Furniture Fair and GIR Store.